Copyright © 2019 All Rights Reserved. Musictoday II, LLC, is the seller of all Brian Regan merchandise and is solely responsible for all aspects of your purchase. 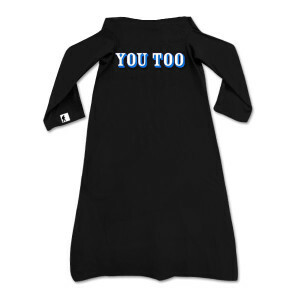 This custom Snuggie features "You Too" text on the front. JOIN OUR MAILING LIST AND SAVE 15% ON YOUR NEXT ORDER. Enter your email below and be the first to know about new products, exclusive offers & more. Your discount coupon will be delivered to the email address you provide.